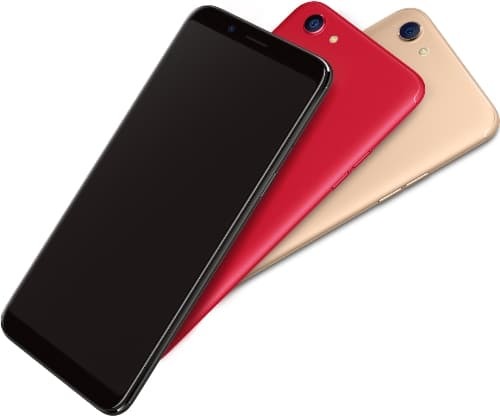 As we had informed you earlier, the Oppo F5 is now official. The Oppo F5 has been launched today in Philippines and will arrive in India on November 2nd once the launch event scheduled for 12noon on the said date is over. The Oppo F5 takes the selfie obsession of the company further with a humongous 20MP front camera. The front camera on the Oppo F5 is not just a huge resolution sensor but it is backed by artificial intelligence to enhance your beauty. We are not kidding the f/2.0 aperture lens isn’t just for show but has brains to back it up as well. 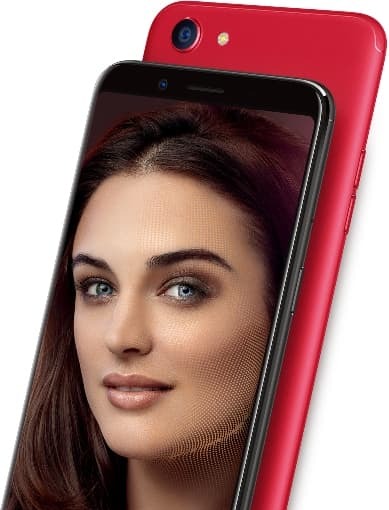 While the Oppo F5 may have the smallest bezels of any Oppo smartphone, the thing that we are concerned about is its most marketed one, the front camera. The beauty AI can bring out the best in you with every shot. You while you take a photo with the front camera the AI creates 200 positioning spots and these spots help the software to refine your selfie to accentuate symmetry in your facial features. Now we all know that symmetrical faces mathematically proven to be appealing. The AI has a beauty-iris tool as well which will bring out the beauty in your eyes as well. The AI also detects the ambient light and automatically adjusts the brightness levels in your photos. This means you never have to mess with the exposure settings on your camera app. Since Apple aggressively marketed the bokeh feature, the Oppo F5 has it as well where the subject is in focus and the background is blurred. The front camera also has facial recognition that can be used to unlock the smartphone. The rear camera has a resolution of 16MP and comes with a single LED flash. Since we have discussed in details the USP of the smartphone, let us dive in to the other technical specifications of the Oppo F5. 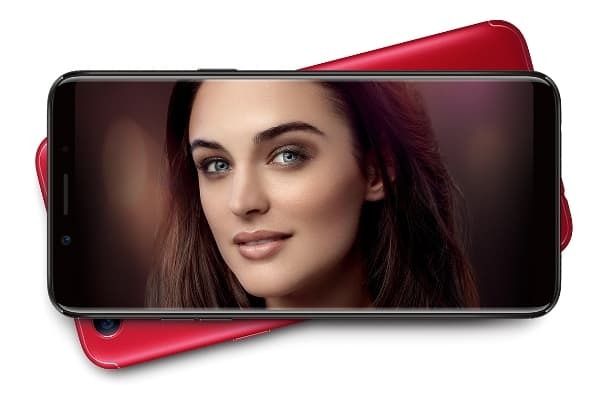 The Oppo F5 sports a 6inch Full HD + (2160 x 1080 pixels) resolution TFT display. Underneath the hood we get a MediaTek MT6763T which is more commonly known as the Helio P23. This chipset houses 2.5GHZ octa-core ARM Cortex A53 CPU, ARM Mali G71 MP2 GPU and either 4GB or 6GB of RAM. You shall get 32GB of internal memory with the 4GB RAM variant and 64GB of internal memory with the 6GB RAM variant. The 4GB RAM variant comes in Gold and Black colour and the 6GB variant comes in Red colour. The Oppo F5 is powered by a 3200mAh battery which can last for up to a day. This is a dual SIM smartphone that also supports microSD cards. Connectivity options include Wi-Fi, microUSB and Bluetooth. The Oppo F5 houses proximity, light, gravity and an e-compass sensor. Apart from facial unlock you also get a fingerprint sensor on the rear just underneath the camera to secure the Oppo F5. The Oppo F5 runs ColorOS 3.2 which is Oppo’s take on Android Nougat. The Oppo F5 is up for pre-order in Philippines and shall ship by November 4. Prices of the Oppo F5 start at 15990 Philippine Peso which comes to around Rs. 19,985. As we informed you earlier the Oppo F5 will be launched in India on November 2.